Peter Rodgers represents individuals in trials involving personal injury, medical malpractice, product liability, wrongful death and business disputes. His work in medical malpractice has involved cardiac, neurologic, obstetrical, orthopedic, vascular and infectious disease lawsuits including the failure to diagnose cancer, heart disease and infectious disease. Peter has represented patients who are victims of surgical error and emergency room neglect. 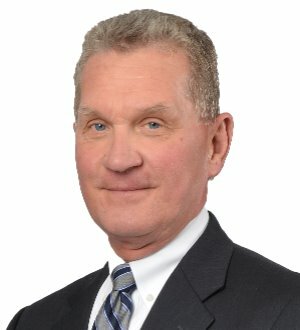 He also has represented those injured or killed in auto, premises and workplace accidents.Some examples of medical malpractice verdicts and settlements include:	Esophageal intubation: settlement $6.85 million	Lacerated carotid artery: settlement $2.1 million	No treatment of increased intraocular pressure: settlement $2.5 million	Injured intestine during C section: settlement $1.05 million	Failure to diagnose cerebral hemorrhage: settlement $1.5 million	Injured bowel during gall bladder surgery: verdict $1.25 million	Cut ureter during oophorectomy: settlement $5.5 million. Some examples of personal injury verdicts and settlements:	Woman suffers head injury in MVA accident: settlement $2.4 million	Woman suffers broken bones in MVA accident: settlement $700,000	Man injured in work accident: verdict $350,000	Man injured in fall at store: verdict $350,000. Drawing on his expertise, Peter lectures on civil litigation and trial practice, as well as topics such as malpractice prevention and legal ethics. He has lectured for the New York State Bar Association, the Monroe County Bar Association, the New York State Medical Society and the School of Nursing at the University of Rochester. Peter has presented in the Masters in Trial Program of the American Board of Trial Advocates and has written articles on trial practice involving damages, strategies and motion practice. He has chaired seminars sponsored by the New York State Bar Association entitled “Prosecuting and Defending Medical Malpractice Claims.”Peter has served as a Trustee of the Monroe County Bar Association and as Chair of the Courts Committee. He is a member of the Association of Trial Lawyers of America and the New York State Trial Lawyers Association, and is a past president of the Genesee Valley Trial Lawyers Association.Peter was appointed as the Chair of the Attorney Grievance Committee of the Seventh Judicial District by the Appellate Division, Fourth Department and served in that capacity from 2002 until 2005. He served as Chair of the Board of Trustees, McQuaid Jesuit High School, Rochester, New York from 2009 until 2016.